Runners are required to be semi self-sufficient, and must have their mandatory equipment with them at all times during the race. Support crew can only provide food/drinks at the check points. NO outside assistance is authorized beyond the limits of the check points (any food/drinks found on the course will be collected by the staff and the participant responsible will be penalized). Pacer and support runners are strictly prohibited. The participant may be penalized or disqualified for breaches of the rules. 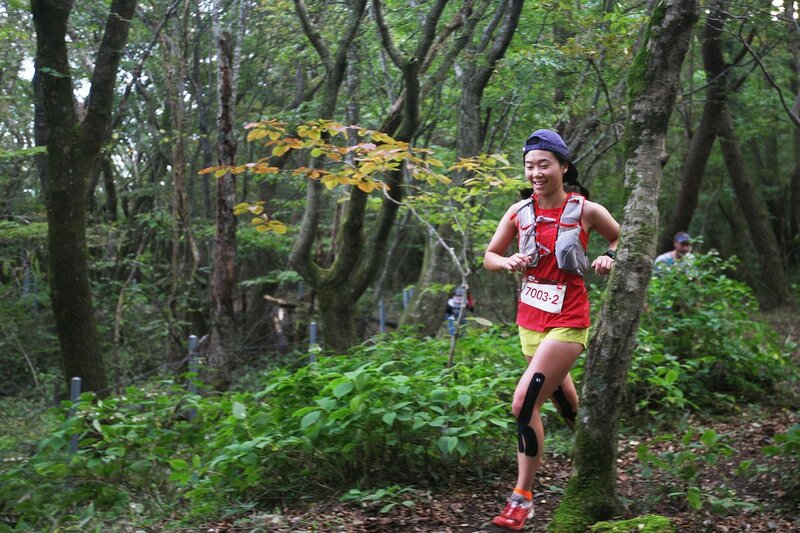 Taking part in the Trans Jeju 50k/110k involves accepting without reservation the current regulations and the ethic of the race. There will be random gear checks during the event and if you are missing any item, you will incur a penalty up to the disqualification, on the discretion of the race directors. 선수들은 대회 중 필요한 물과 간단한 간식은 스스로 준비해야 하며 본인의 필수장비는 대회 중 항상 몸에 지니고 있어야 합니다. 선수 서포터들은 CP에서만 물과 음식을 제공할 수 있습니다. 체크포인트 이외의 곳에서 물, 음료, 음식 등 어떠한 외부의 물품 지원도 허용되지 않으며, 페이스메이커 혹은 대회 참가자가 아닌 외부인의 동반 주행 등도 엄격하게 금지되어 있습니다. 참가자들은 위의 규정을 어길 시 패널티를 받거나 실격될 수 있습니다. 선수들은 트랜스 제주 110km/50km에 참여함에 있어 위의 규정과 대회 윤리에 동의하며 따라야 합니다. 대회 중 불시에 장비 검사가 있을 수 있으며, 만약 필수 장비 중 하나라도 빠진 것이 있을 경우 레이스 디렉터 재량에 따라 페널티 혹은 실격될 수 있습니다. Personal cup. To avoid the wastage of plastic cups at the checkpoints, you must bring your cup along in order to enjoy the different beverages offered (soda, soup, tea, coffee). Even though the organiser is covered by liability insurance, participants are strongly recommended to enroll in their own insurance coverage plan. First aid posts are positioned at every Check points throughout the course. A medical control team is present during the entire duration of the event. A runner calling on the medical team must submit himself to its authority and undertake to accept its decisions. To put any competitor unfit to continue with the event out of the race (by invalidating the race bib). If for any reason it is impossible to make contact with the course organizer, you can directly call the rescue services, 119 (especially if you find yourselves in a zone « emergency call only » as several sections do not have mobile network coverage). Each runner must stay on the way-marked paths, even if to rest for a while. Any runner who voluntarily leaves such paths is no longer under the responsibility of the organizer. Most check points are easily accessible by public transportation. Therefore, the runner who retires from the race will be redirected to the closest public bus/train (each runner must have cash – see mandatory equipment). Outside bus/train schedule, the organizer will arrange a shuttle to pick up runners at the different checkpoints. ​Note that the shuttle may experience delays in bringing the retired runners back to the finish area. Injured runners will have the priority if the numbers of seats are limited. The route will be marked with Pink ribbons and arrows at intersections. For better night vision, the markers include a section of reflective material, which will be easily visible with a headlamp. It is recommended to bring the map with you. 개인 물컵. CP에서의 일회용품 사용을 줄이고 수프, 차, 커피, 탄산음료 등 다양한 음료를 즐기기 위해 반드시 개인 컵을 지참해 주십시오. 대회는 책임보험에 가입되어 있으나, 참가자들은 개별적으로 보험에 가입하기를 권장합니다. 구급상자는 코스별로 각 CP 에 배치되며, 의료팀은 행사기간 내내 배치 되어 있습니다. 다른 선수에게 의료진을 불러달라 요청합니다. 반드시 위험에 처한 다른 선수를 돕고 응급처치 해주시기바랍니다. 특정 지점에 도달하기 어려울 경우 예상보다 오래 기다리게 될 수도 있습니다. 개인의 안전은 가방 속에 어떤 물품을 가지고 있는지에 따라 달라집니다. 이를 반드시 숙지하고 필수장비를 챙겨주시기 바랍니다. ​의료진을 부른 선수는 자신의 권한을 포기하고 의료진의 결정을 따라야 합니다. 의료진은 다음과 같은 권한이 있습니다. 위험이 있을것이라 예상되는 선수를 대피시킨다. 건강상 안정이 필요한 선수에게 적절한 휴식을 지시한다. 비상 지원 혹은 대피에서 발생한 비용은 선수 본인이 지불합니다. 또한 구조 된 지역에서 구출과 관련된 모든 비용에 대한 책임이 있습니다. ​만약 어떠한 이유에서든 대회 기획자에게 연락이 닿지 않는다면 직접 119에 구조 요청을 하십시오 (특히 산악 일부 구간에서는 응급전화 외에는 휴대전화가 터지지 않을 수 있습니다). ​선수들은 반드시 대회 코스 내에서 달려야 합니다. 자발적으로 배번호 없이 대회에 참여한 선수들은 더 이상 대회 기획자의 책임하에 있지 않다는 점을 알려드립니다. 모든 선수들은 배번호를 제공받게 됩니다. 대회 중 배번은 반드시 몸의 앞 부분에 잘 보이도록 부착해야 합니다. 경기 중 배번을 부착하지 않을 경우 패널티 등의 불이익을 받을 수 있습니다. 음료와 음식 등은 각 CP에서 제공됩니다. ​일회용품의 사용을 막기 위해 모든 선수들은 반드시 개인용 물병을 지참해야 합니다. 일회용 컵은 제공되지 않습니다. 코스 내에 어떤 쓰레기든 투척하는 선수는 페널티를 받게 됩니다. 휴지통은 매 CP마다 준비되어 있습니다. 선수들은 위의 제한시간 내에 결승점에 도달해야 합니다. 이를 위해 일부 CP에서도 제한 시간을 두고 있으며, 선수들은 해당 CP의 제한시간 이전에 CP에서 출발해야 합니다. 기상 상태 혹은 안정성의 이유로 코스는 변경 혹은 수정될 수 있습니다. 물품 보관은 오직 출발, 결승점에서만 가능합니다. 대회날 아침 물품을 맡길 수 있는 텐트가 설치 될 것입니다. 본인의 선수 번호와 휴대폰 번호, 응급 연락처를 적고 가방에 달아주십시오. 결승점에 들어온 뒤 본인의 가방을 찾아가실 수 있습니다. 부상 이외의 경우, 선수는 CP 이외의 어떤 장소에서도 대회 포기를 할 수 없습니다. CP 담당자에게 대회 포기를 알리면 배번과 기록 측정칩이 무효 처리가 됩니다. 대중교통이 끊긴 이후에는 대회 기획자가 각 CP마다 셔틀 차량을 보냅니다. 이 경우 선수들은 자신의 차례가 오기까지 상당한 시간을 기다리게 될 수도 있습니다. 셔틀 차량의 좌석이 부족한 경우, 부상당한 선수에게 우선권이 주어집니다. 모든 코스는 핑크 리본과 화살표시로 표시되어 있습니다. 야간 주행시 가시성을 위해 리본에는 형광 반사판이 부착되어 있습니다. 하지만 만약의 사태에 대비하여 지도를 지참하기를 권장합니다. 선수들은 반드시 코스를 따라가야 하며 지름길을 이용하는 것은 금지되어 있습니다. 지름길로 주행하는 선수의 경우 패널티를 받거나 실격될 수 있습니다.